Residential Locksmith Reno is a locally owned and ran locksmith company offering residential locking solutions around Reno. We know Reno is a busy town, so our goal is to provide you with all of your residential locksmith Reno needs in a fast and friendly manner at a reasonable cost. Have you lost your house keys? we can help! 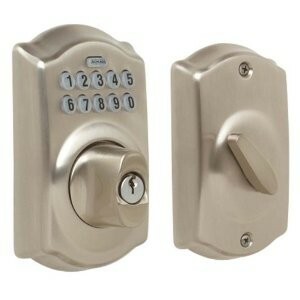 Do you need fresh lock installation at your home? we can do that as well! As a residential locksmith Reno service company with many years of experience in the field we know the value of keeping up with the latest technology of residential locking security lock systems. In order to give you the peace of mind that you need, our team of Reno locksmith technicians are fully trained and certified to work with most types of residential locks in the market from all the leading brands for home security. Electronic KeyLess Entry Lock – Although standard traditional locks on your front door can pose enough safety to your home, it is always recommended to explore the latest technology forms of security for convenience and peace of mind. Keyless entry lock system proven to be a step up in home security. Other than the increased level of home security, these systems will eliminate occasional house lockout situations in which the key was lost. 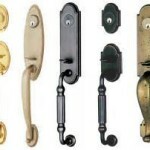 Decorative Handlesets and Locks – If you were looking to add some style to the front door of your home without compromising security, you came to the right place! As a professional locksmith Reno company, we work with all the biggest lock manufacturing names such as Schlage and Kwikset who are also the pioneers when it comes to decorative locks and handle sets. We carry in our inventory a large selection from these leading manufacturers of different styles that will compliment the front door of your home.